Dadlani is facing criminal charges after he tweeted about the Haryana government’s decision to invite a Jain monk to address the legislative assembly. New Delhi/Ambala: Musician and former Aam Aadmi Party member Vishal Dadlani – facing criminal charges in various parts of the country after he criticised the Haryana government’s decision to invite a Jain monk to address the legislative assembly in a series of tweets – was granted anticipatory bail by a sessions court in Ambala on Friday. The case against the singer in Ambala has been filed by Puneet Arora, who in his complaint had said he was “visibly hurt and aggrieved” by tweets from Dadlani and Congressman Tehsin Poonawalla on the Jain monk’s speech. “This is straight away, through the medium of the internet, a matter of spreading religious discontent/enmity, hurting of belief and religious sentiments, disrespect of Jain Saint, who belongs to a minority community, the entire female fraternity, 2.5 crore residents of Haryana, the respected Governor, respected Speaker, respected Chief Minister and Elected Representative, the matter concerns disrespect towards all,” Arora said in his complaint. On Wednesday, Dadlani met the monk in question, Muni Tarun Sagar, and apologised. The monk said that he held nothing against Dadlani and all complaints against him should be retracted. However, Arora then told The Wire that he did not intend to retract the complaint and the matter was not in “the court’s hands”. “In the present case, from the series of tweets posted by the petitioner on 27.08.2016, it is clear that though, he did not use … proper words to criticise but prima facie, it appears that his intention was to criticise the preaching/ speech of Jain Muni Shri Tarun Sagar Ji, addressed from [the] precincts of Haryana Legislative Assembly, a symbol of protecting secular character of the country, whereby he had told that “how women should live; what to wear etc.” Petitioner wanted to show his concern about mixing of religion with the politics and criticise the action of the State Government in inviting Jain Muni to the Legislative Assembly. Not only this, after realising that his tweets were being criticised and were not being understood as he wanted to intend, he issued numerous apologies making it clear that he did not want to upset the Jain feelings and that his intent was to ridicule the merger of religion and politics,” the order reads. 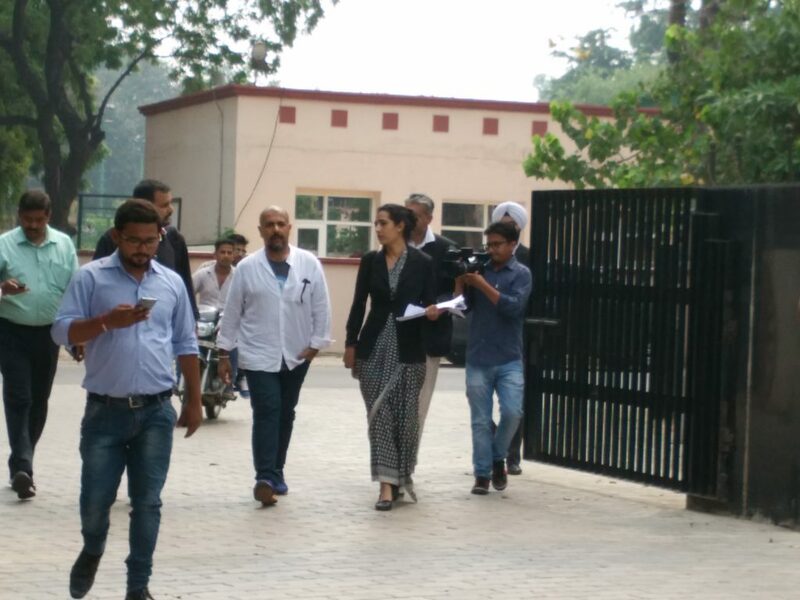 Speaking to the media in Ambala after a deposition before the police on Wednesday, Dadlani said that the court’s order made it clear that there were no grounds to the complaints against him and they were only being made to “harass and humiliate” him. “My point was only that religion and governance should be kept separate, I did not mean to hurt anyone’s sentiments. I have apologised to those who may have been hurt,” he said.